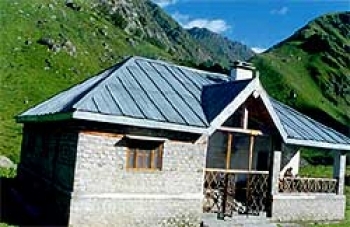 GMVN Tourist Rest House in Har Ki Doon provides economic accommodation for the travellers and trekkers to Har ki Dun. Its one of the famous all year open trekking destination located in Govind Wildlife Sanctuary and National Park in Uttarkashi. Har ki Doon is situated in a cradle shaped valley at an elevation of 3,566mts above sea level. It is one of the remotest places to visit in Uttarakhand. Har-ki-Doon is situated at an elevation of 3,566mts in a cradle shaped valley. It is located 34kms from Sankri village in interiors of Uttarkashi district. 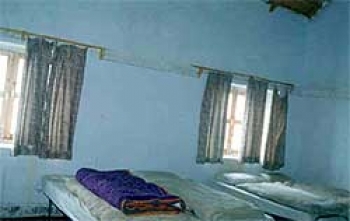 Accommodation in GMVN Tourist Rest House at Har-ki-Doon is categorized in 01 Economy class and 08 Bedded dormitory. It provides very basic amenities and facilities suh as clean bed, linen, attach bathroom and hot water supply. It serves basic nutritious food best for trekking.